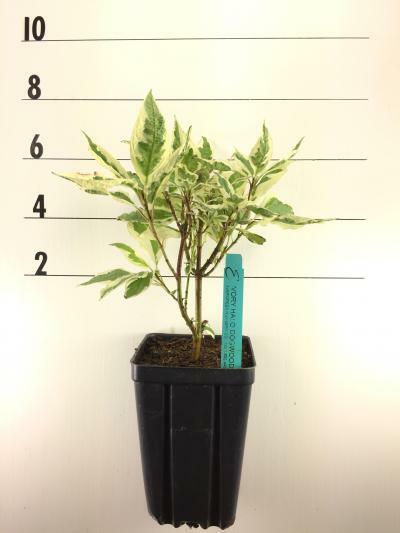 A compact selection of Variegated Dogwood that is much fuller and finer textured. 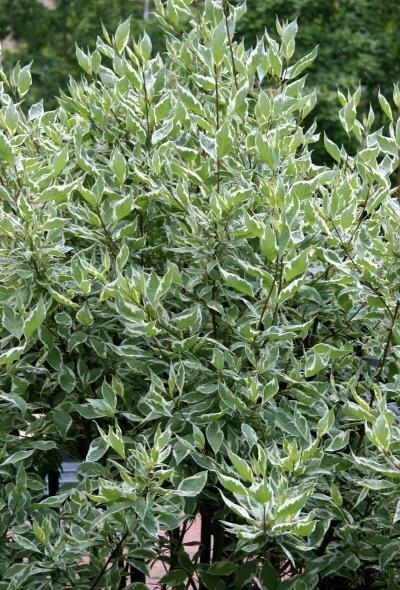 The summer foliage is variegated green and white. Twigs are dark red in winter. Plant in full sun or partial shade in any soil that is not dry. The finer texture and compact form is useful for smaller planting areas. Price does not include $.30 royalty.